Fitted an Assa Abloy rollerbolt to a wooden door in Bearsden. The lock replaced an existing Yale nightlatch that was playing up. My customers had just moved into the home and were looking for a lock that would offer better security so this is what I fitted for them. The existing lock looked like a D.I.Y. effort, badly fitted and turned out to be just that. The frame was all chewed up behind the existing receiver but I managed to straighten it out and fit the new one so that the rollerbolt and keep ere snuggly fitted together. 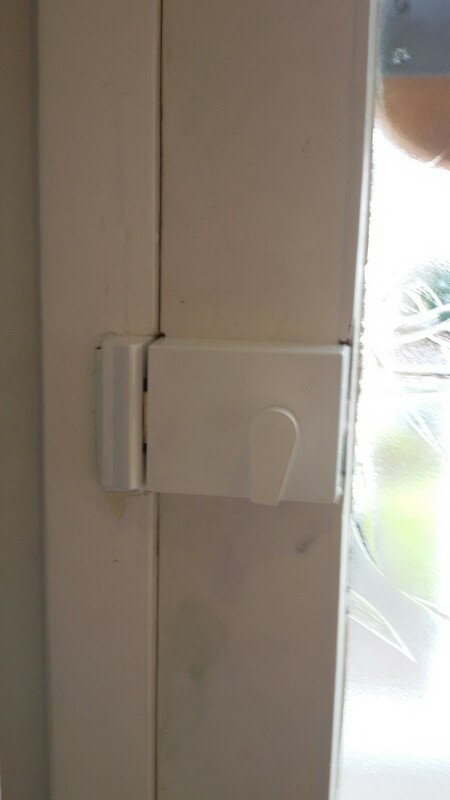 The advantage of this lock apart from the fact that it offers better door security is the fact that they can never lock themselves out. So it ticks all the right boxes. A.L.S. door security Locksmith is a trusted mobile locksmith carrying out UPVC, composite and aluminum window and door repairs.